The content is fascinating and gives a glimpse into the careers of many commanders who rarely feature in modern publications. 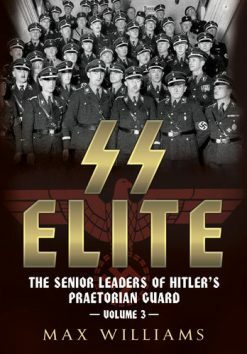 This book has excellent production values, with a first class set of photos, and is at its best when covering decorations and awards, indeed the book is based around photographs of Hitler presenting awards to the various commanders covered. A definitive book that must be regarded as a very valuable addition to this topic. Honouring Those They Led examines specific points and groups within a massive subject; Commanding Generals of WW II German field commands with those primarily studied being among those presented one or more of their highest combat decorations by Adolf Hitler. A lengthy opening chapter provides in-depth details on a diversity of subjects including specifics of the five senior ranks of the German Army, from Generalmajor to Generalfeldmarschall, that combined totaled some 2,000 officers. Information along with privately owned award documents are shown to fully understand the process and granting of Germany’s highest awards for bravery or leadership; the Knight’s Cross, German Cross in Gold, and Roll of Honour Clasp. Other topics include the Oberkommando der Wehrmacht, Oberkommando des Heeres, Generalstabes des Heeres, and their key personnel. Changes in command level responsibilities as the war progressed as a result of Hitler’s appointments and operational planning are discussed. Encompassing all senior ranks, examples within the chapter include those from the largest group; officers who attained General rank after the war started with focus on those awarded one or more of their highest decorations for their initial command. Chapters follow on the primary advisors to field commanders; the First Staff Officers and Chiefs of Staff of higher commands. Then the presenting of awards by field commanders is discussed and the wartime status of recipients including numerous images of a field presentation of the Knight’s Cross. Representing the countries allied with Germany; the decorated Spanish commanders of the 250. Infanterie Division are then detailed. With careers that include commands from Division to Heeresgruppe, 34 field commanders are then examined in individual chapters. All were recipients of the Oak leaves, Swords, or Diamonds to the Knight’s Cross with visual details included of one or more of their award presentations by Hitler. Among the material included are all the award and promotion documents from both World Wars given to a divisional commander of “Grossdeutschland.” These nearly three dozen General ranks range from famous names to more obscure commanders who had significant impact in the field, their skills frequently resulting in being appointed as successors to more well-known officers in command appointments as the war progressed. A Gallery chapter concludes the volume, incorporating images and documents of personnel related to the various categories of the study that were not incorporated with the study. 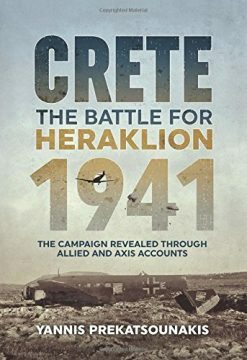 A wealth of information for both history readers and collectors. Glossary, bibliography, and name index for finding entries pertaining to more than 300 command personnel.